Barretstown Meadows is a prestigious residential development of superior quality 4 and 5 bedroom homes finished to an exceptionally high specification. The development consists of 67 luxury homes located at Barretstown on the outskirts of town only a short walk from the town centre. 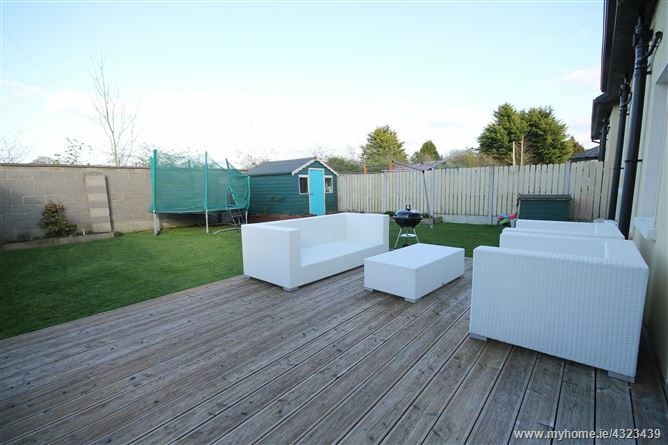 The house was built in 2014 and the owners have finished it to an excellent high standard, presented in showhouse condition and ideal for the modern family. The house overlooks a large green area to front and farmland to the rear. Features include, modern fitted kitchen with integrated appliances, solar panels, gas fired central heating, PVC double glazed windows, walnut flooring, walk-in wardrobe to main bedroom 3 ½ bathrooms, feature fireplace with stove, built-in wardrobes in 4 bedrooms, large cobble loc drive and wooden deck to rear. Newbridge has a wealth of amenities on your doorstep with restaurants, pubs, banks, post office and shopping to include Tescos, Dunnes Stores, Woodies, D.I.D. Electric, Newbridge Silverware, Lidl, Supervalu, Penneys, T.K. Maxx and the Whitewater Shopping Centre with 75 retail outlets, foodcourt and cinema. For the sporting enthusiast there is GAA, soccer, rugby, canoeing, fishing, horse riding, hockey, basketball, leisure centre, golf and racing in the Curragh, Naas and Punchestown. The town has the benefit of a good road and rail infrastructure at hand with the bus route available from the town, M7 Motorway access at Junction 10 and regular train service direct to the City Centre. 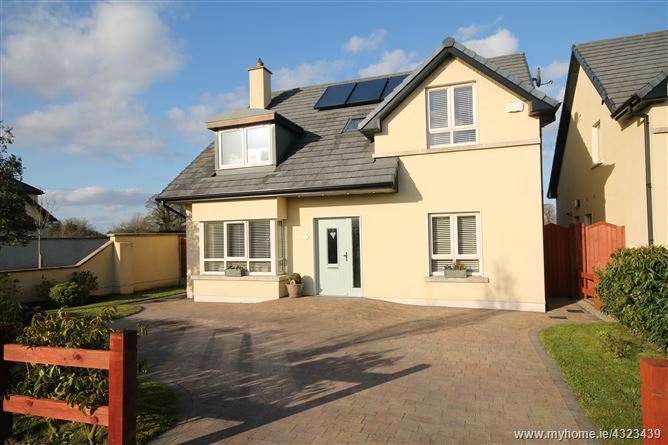 Approached by a large cobble loc drive to front for 2 cars, side access on both side of house with gates, outside tap, generous rear garden in lawn, barna shed and wooden deck. Mains water, mains drainage, refuse collection, alarm, solar panels and gas fired central heating. 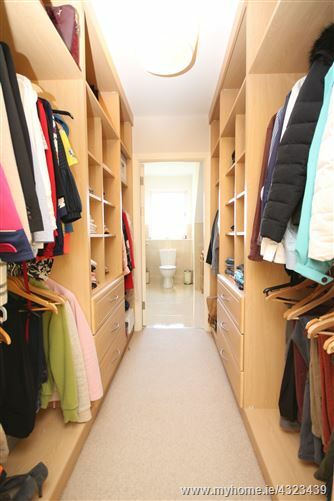 •	Walk-in wardrobe to main bedroom. 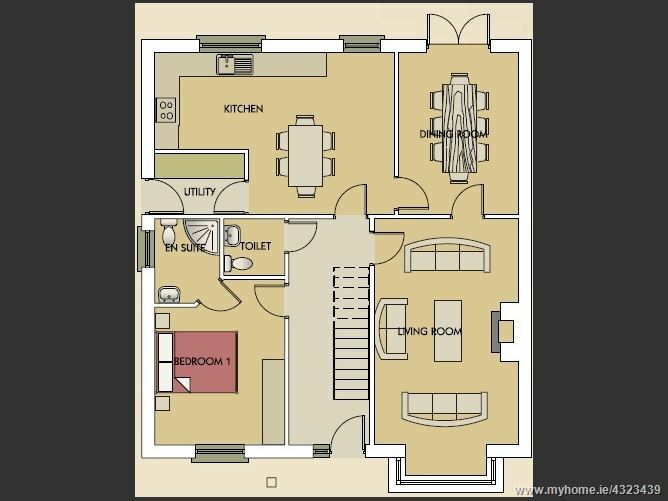 •	3 ½ bathrooms with pump assisted showers. •	Large cobble loc drive to front. •	Modern fitted kitchen with integrated appliances. •	Feature fireplace with insert stove. •	Partial solid Walnut flooring. •	Overlooking a large green area. •	Small development of 67 houses. 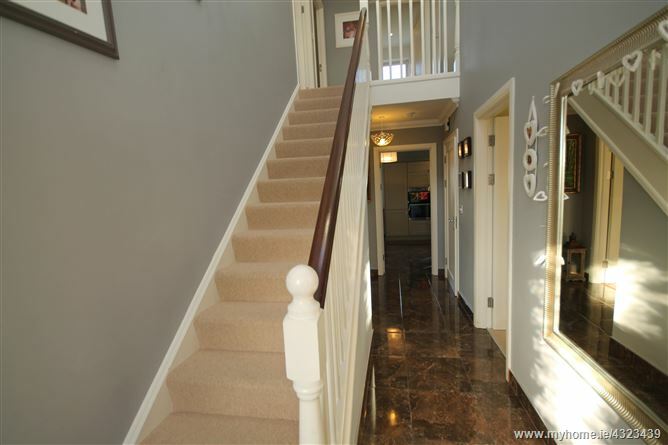 Entrance Hall: 5.5.m x 1,95M Polished porcelain tiled floor, understairs storage and coving. 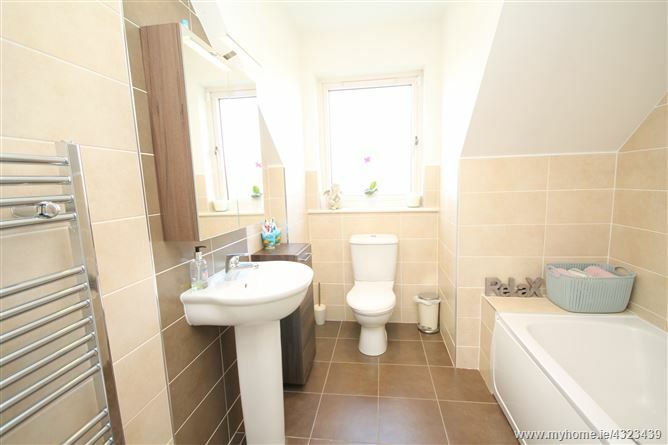 Toilet: w.c., w.h.b., porcelain tiled floor and tiled surround. 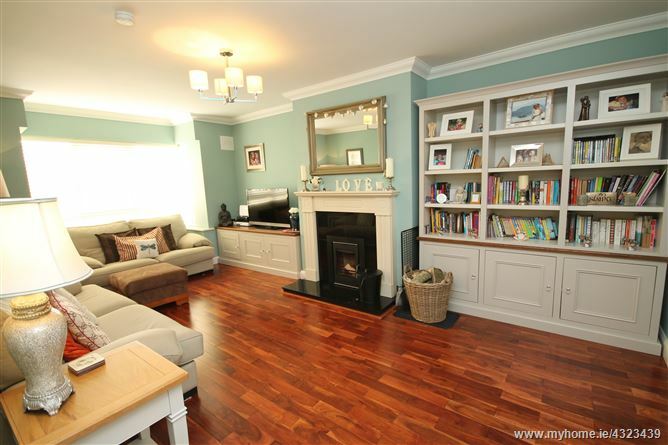 Sittingroom: 6.14m x 3.52 into bay window, solid walnut floor, coving, marble fireplace with insert stove. 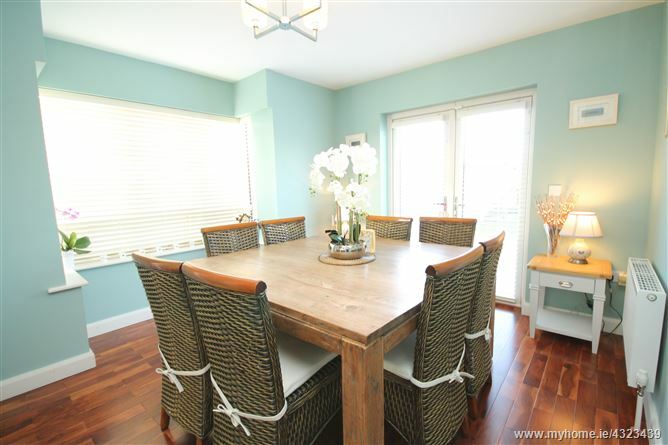 Diningroom: 3.92m x 3.63m into bay window, solid walnut floor, patio doors to rear and double doors to sittingroom. Kitchen/Breakfastroom: 5.7m x 3.93m with modern fitted units, including integrated appliances with Electrolux integrated fridge/freezer Electrolux electric double oven, five ring gas hob, extractor, Electrolux integrated dishwasher, recessed lights, porcelain tiled floor, s.s. sink unit and tiled surround. 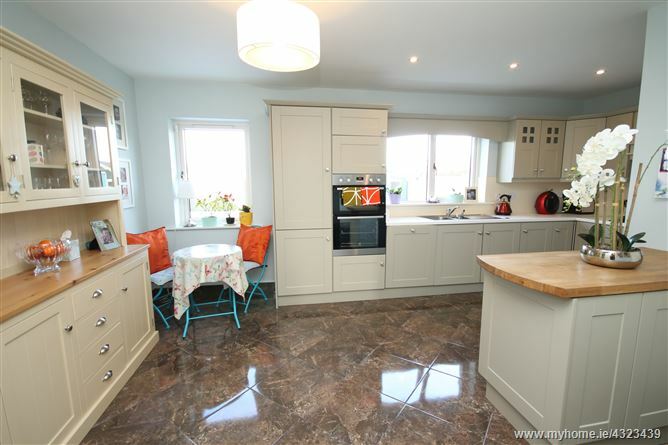 Utility: Porcelain tiled floor, plumbed, sink, fitted presses, gas burner and tiled surround. 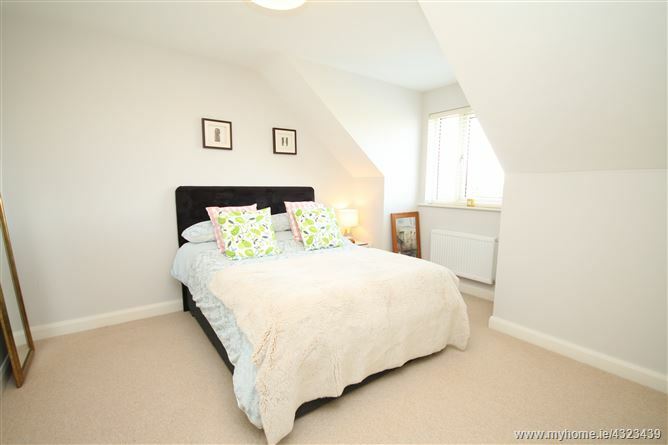 Bedroom 4: 3.91m x 3.14m with built-in wardrobes. Ensuite: w.c., w.h.b., corner shower fully tiled floor and walls. 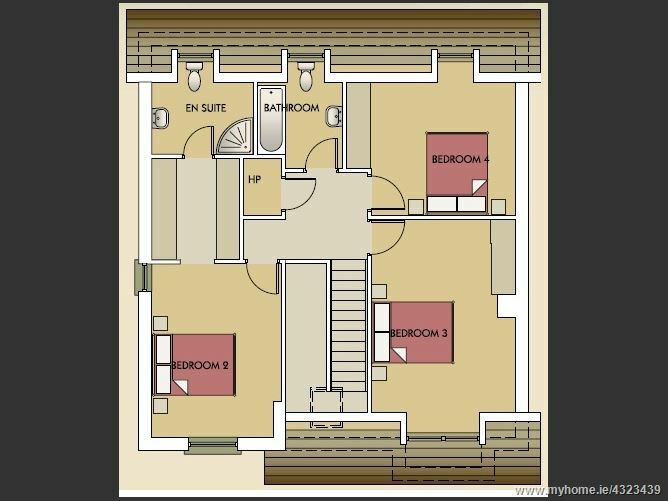 Bedroom 1: 4.32m x 3.18m . Walk-in wardrobe shelved with hanging and drawers. Ensuite: w.c., vanity w.h.b., corner shower, porcelain tiled floor and tiled surround. 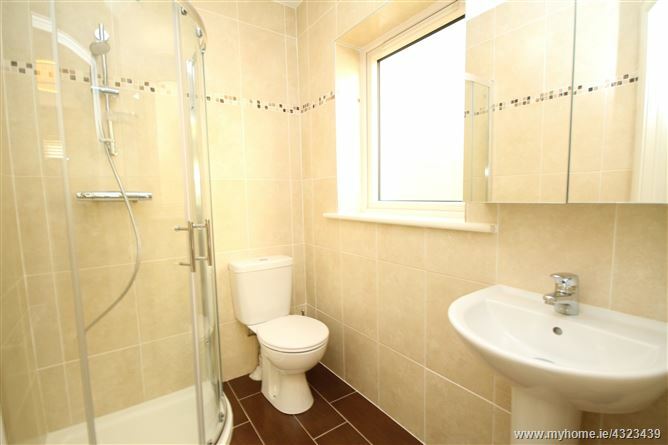 Bathroom: w.c., w.h.b., bath with shower attachment, recessed lights, heated towel rail, tiled floor and surround. 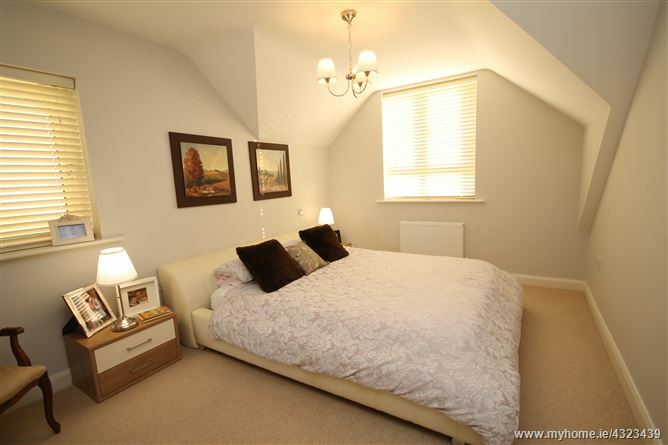 Bedroom 2: 5.28m x 3.54m with double built-in wardrobes. 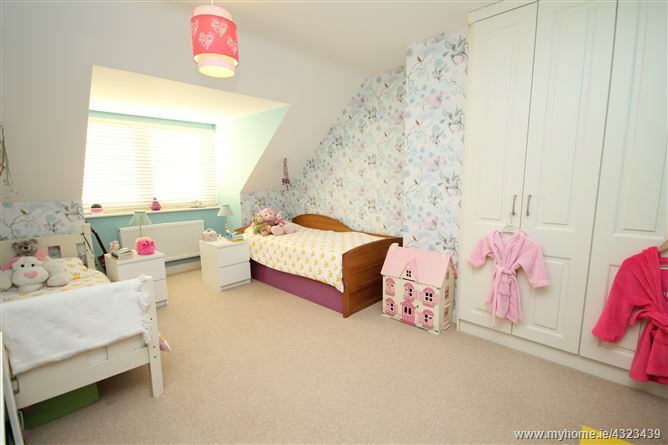 Bedroom 3: 4.11m x 3.32m with build-wardrobes.